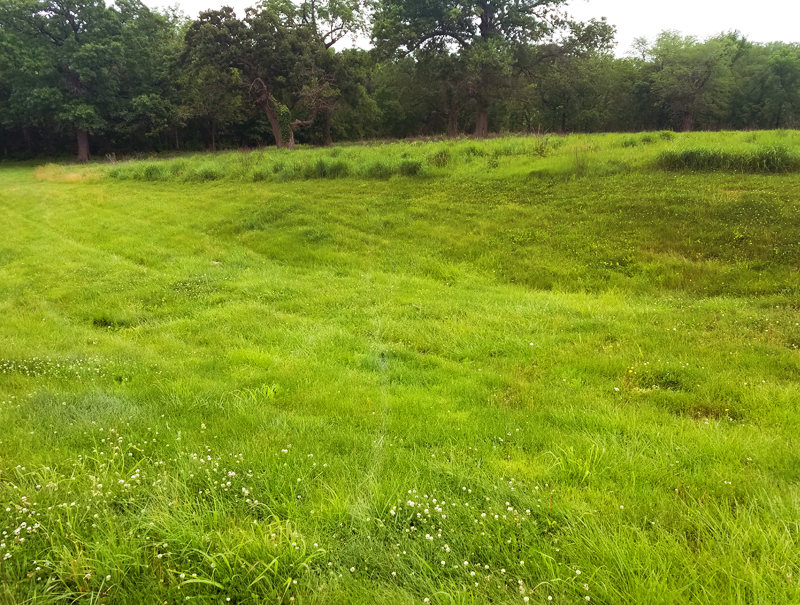 In Minor Park of south Kansas City there is an enormous swale — one of the most impressive on the entire SFT. 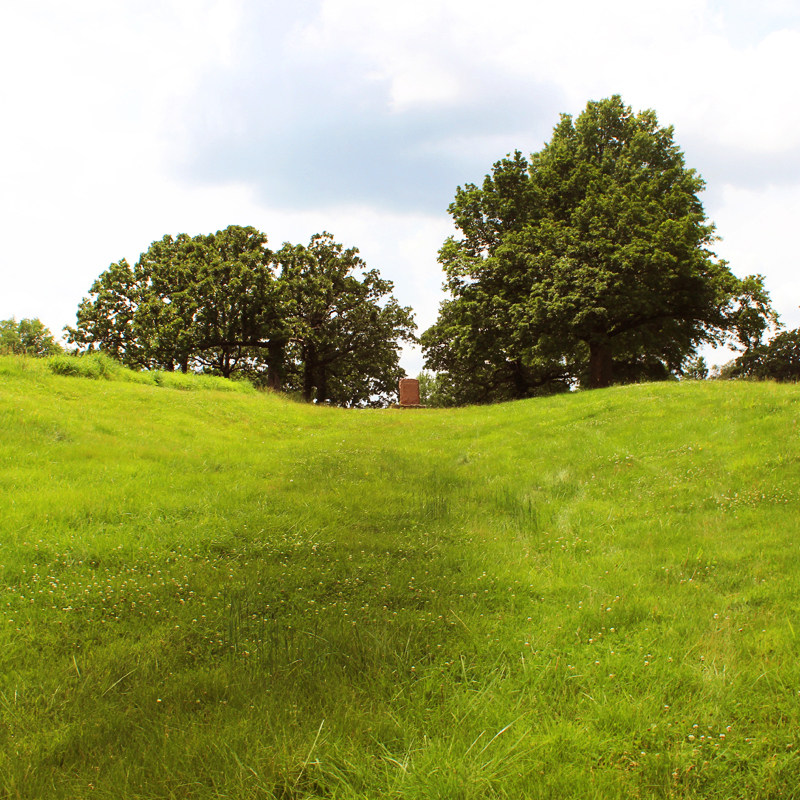 There are several swales in the park and the wide indentations are from hundreds of thousands of wagons that traveled up this incline where the mule teams and animals had to really dig in to pull their load up and through this pasture. Also, the Oregon and California trails meet here –the historic 3 Trails Corridor — something like the confluence of three super highways of the 1800s. This is a great stop for getting out and taking a walk, to stretch your legs after long hours of driving. We had the park mostly to ourselves this day. 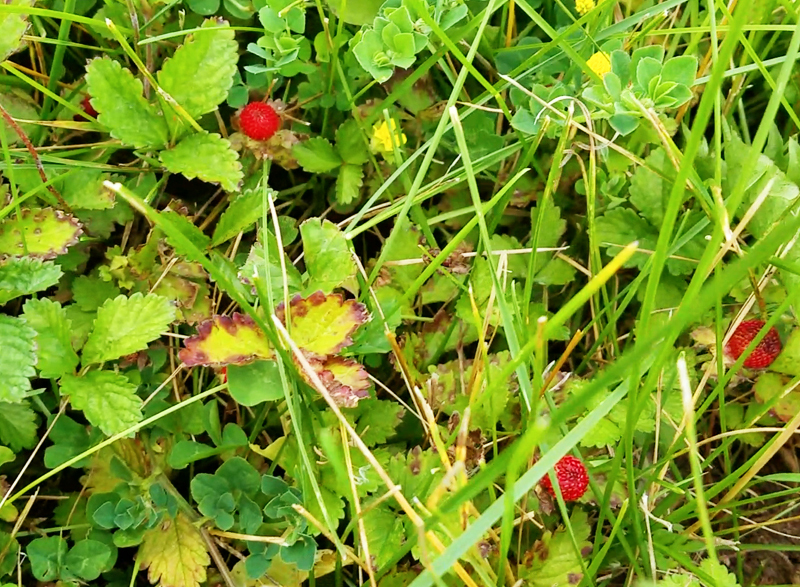 While Amy was hunting around for wild strawberries and onions that were planted long ago by the pioneers, she looked up and couldn’t find Mr. D anywhere. Because he was standing in this very deep swale. He’s 5 ft. 10 inches tall and you could just barely see the top of his head. A mighty impressive bit of history to be roaming through. We may have mentioned, we are official Rut Nuts now. Even though most of the trail is broad, and not two-track wagon ruts like you see in old westerns. There are swales carved so deeply into the Earth that huge segments of the SFT can be seen from space. For us, Rut Nuts just sounds better than Swale Crazed. In the parking area there is good signage and information about the trails. 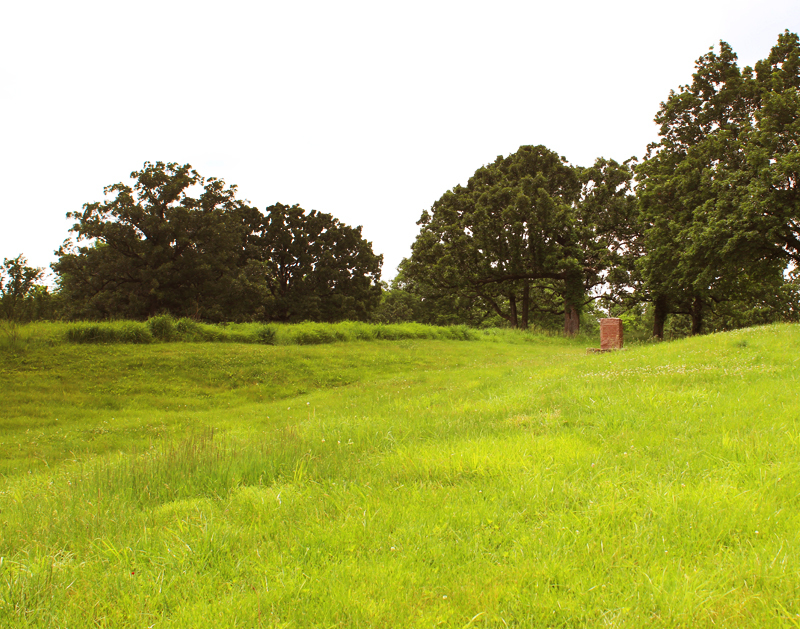 From there, the massive swale is about 100 yards out and you will see a red SFT granite marker positioned at the top. Another attraction at Minor Park is the Old Red Bridge. 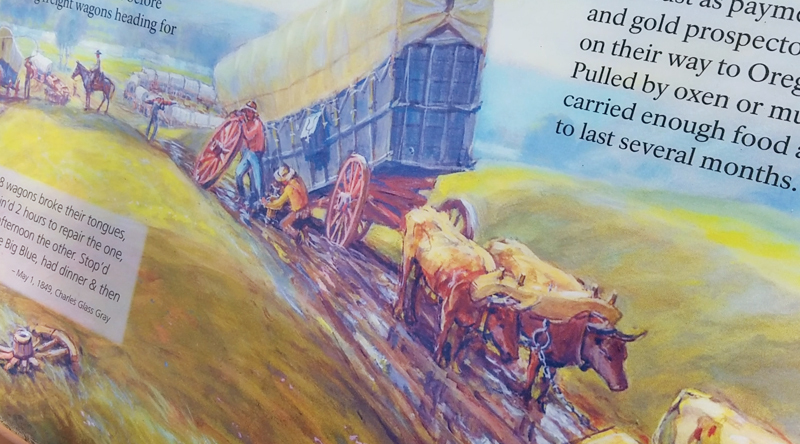 Wagon trains passing through Minor Park had just crossed the Blue River, and before bridges were built it was extremely dangerous for the animals and the people, most of whom didn’t know how to swim. You can read more of the bridge history here. Another SFT nearby site is Schumacher Park where there is a natural prairie — a wonderful presentation of what the land looked like back in the day. 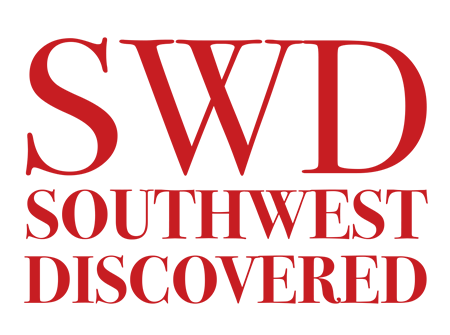 Wishing you Great Discoveries and Happy Trails! I really want to stand in that swale and I look forward to the next section! Hi Sunshine, when you go be sure to check out the official trail site and local info center for more things to see. Kansas City can be back-to-back traffic in some spots, so you’ll want to make good use of your time in each area. Definitely worth stopping to discover. Great photos. Mac, thank you. And yes, it’s definitely worth stopping for.